The question of whether UK higher education institutions are effectively promoting free speech on campus is a political hot potato. Recent attempts to ‘no platform’ speakers by students and academics have caused Government and policymakers to question whether the right balance is being struck by higher education institutions, which have a legal obligation (in England and Wales) to formulate and implement codes of practice to uphold freedom of speech on their premises. This report presents a practical guide for institutions to use when composing or updating these codes of practice. 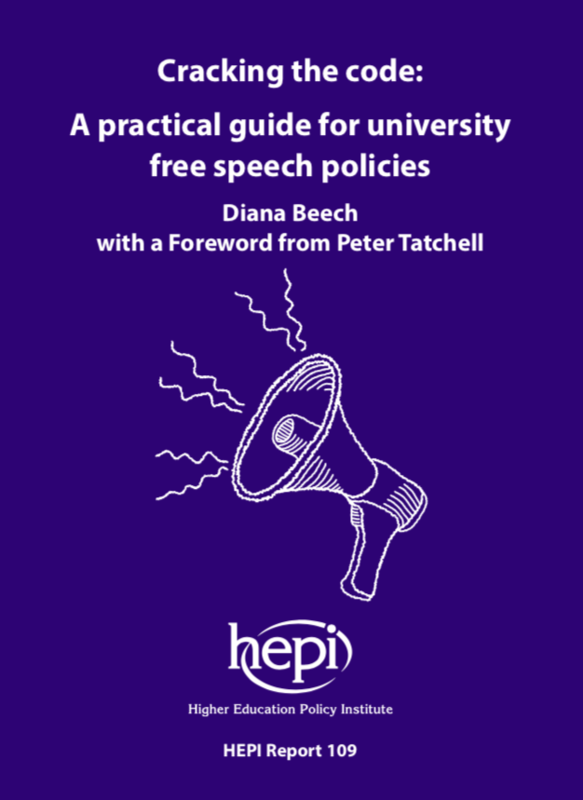 It looks at what works in existing codes, as well as what does not, and presents a set of practical recommendations to the sector to ensure future codes of practice on freedom of speech are as simple, effective and user-friendly as possible. Prominent human rights campaigner, Peter Tatchell, has kindly written the Foreword to the report.